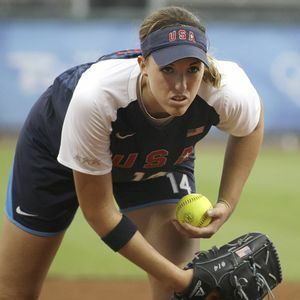 Olympic softball silver medalist Monica Abbott talks with espnW's Jessica Mendoza about what it feels like to sign a $1 million, six-year contract in the National Pro Fastpitch league. No one else can do what Monica Abbott does with a softball in her left hand. It can be argued that no one ever could. 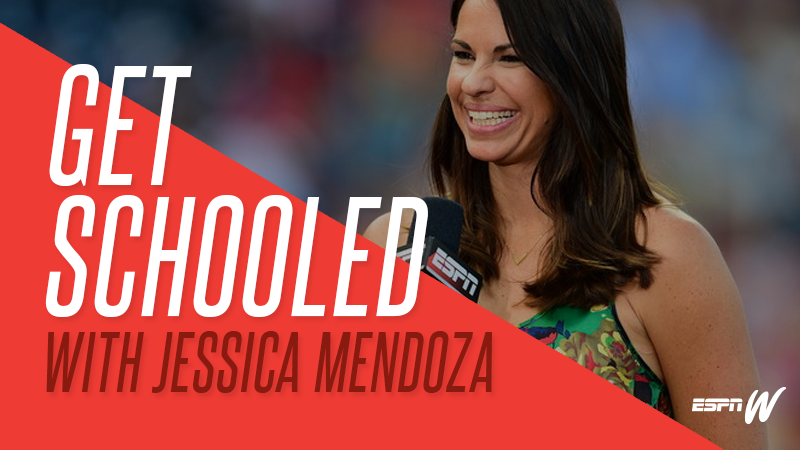 She is the most valuable player in the world for one simple reason: Pitchers these days struggle to dominate the sport. She doesn't struggle. That she should be compensated accordingly -- an unprecedented contract for an unmatched talent -- is both long overdue and an audacious attempt to speed the pace of progress in women's professional sports. The Houston-area Scrap Yard Dawgs, National Pro Fastpitch's newest expansion team, this week signed Abbott, a free agent, to a six-year contract expected to pay her $1 million. 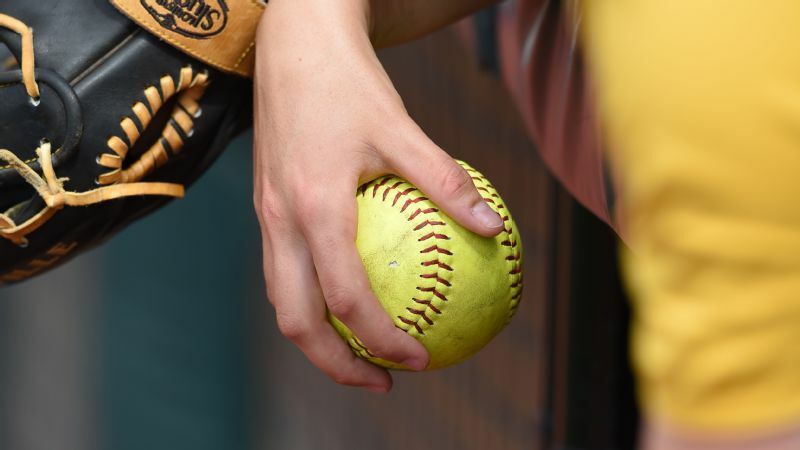 It is the first million-dollar contract in the history of NPF, which begins its 13th season later this month with six teams and plays a 50-game regular season. The contract is believed to be the most lucrative paid by an individual American professional franchise to an active female athlete in team sports. "I think it's a proud moment for National Pro Fastpitch," league commissioner Cheri Kempf said. "But I think it goes further than that. I think it's a proud moment for women in professional sports in this country. I feel glad that it's happening in the league. I'm glad that we're going to lead the way, in some respects." The structure of Abbott's contract highlights how much of a departure it is from the norm in American professional softball, which has an on-again, off-again history that dates to 1976 and the International Women's Professional Softball Association that Billie Jean King helped found. Teams in the NPF must squeeze rosters of at least 18 players within a salary cap of $150,000. Few players earn more than $20,000. Most make low-to-mid four figures for the three-month season. To fit that structure, Abbott's deal pays her a base salary of $20,000 for each of the next six seasons, with attendance bonuses making up the rest. It will not be difficult to qualify for the bonuses, which are triggered when attendance for a small number of games reaches 100 fans, regardless of whether the team is at home or away and whether or not Abbott pitches. 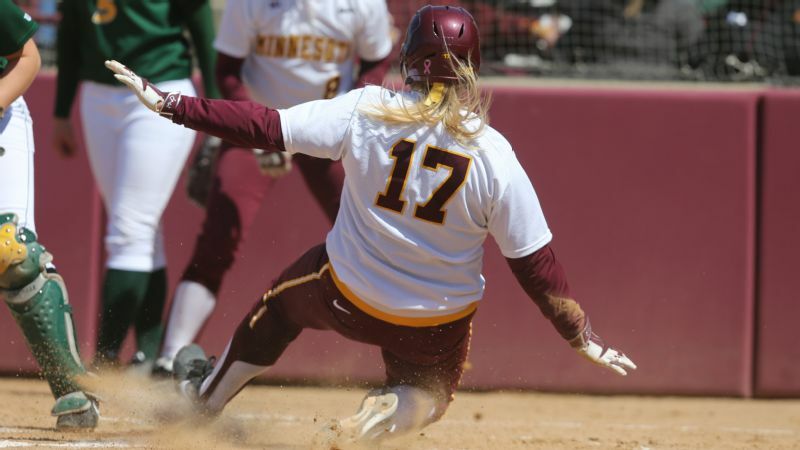 That is the math as it relates to the 30-year-old Abbott, who spent the past five seasons with the Chicago Bandits. It is math designed to catch the eye, like the contract that made Nolan Ryan baseball's first $1 million-a-year player in 1979. But the meaning goes beyond the math. Monica Abbott stands 6-foot-3 and rockets the ball toward the plate at speeds of more than 70 mph. She still holds the NCAA records for career wins, shutouts and strikeouts. It is a contract for someone who is one of a kind, but also someone who hopes it won't be a one-of-a-kind contract. "In my mind, it represents an opportunity for the younger players in our game," Abbott said. "The pro league, it's continued to grow year in and year out. And even with my Bandits teammates, we were constantly talking about creating a future for the next generation. For me, that's what I see in this deal. I see opportunities for other athletes, for the college girls coming in [to the league], for the college freshmen, for the 12-year-olds. I see opportunities for them to only be a professional softball player. To not have to have another career, another job. "Hopefully it just raises the bar of our sport." Abbott isn't arguably the best pitcher in the sport; she is empirically the best. And it's not close. 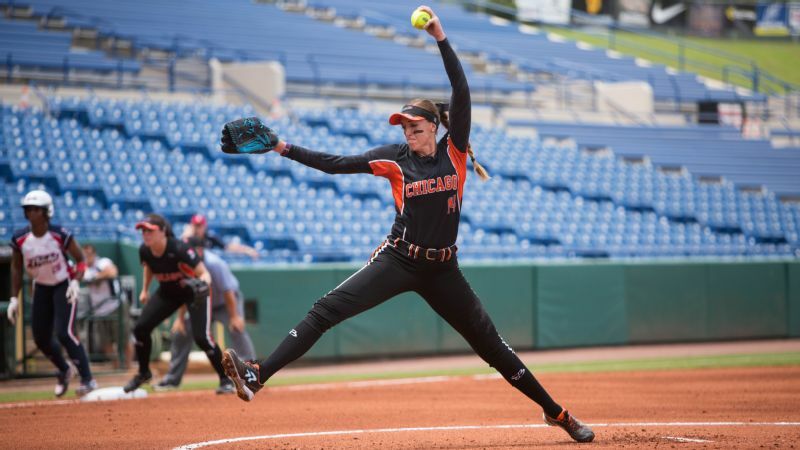 In leading the Bandits to the title a season ago, she went 13-1 with a 0.31 ERA, 0.59 WHIP and 149 strikeouts in 90 1/3 innings. This is a historic contract for professional softball and for all women's sports, and I hope it is the first of many to come. She accounted for just 5 percent of NPF innings a season ago, yet the entire league's ERA jumps from 2.86 to 3.00 if you remove her contributions. Nor were those numbers out of line with what she has done ever since leaving Tennessee nearly a decade ago as the NCAA's all-time strikeouts leader. In that sense, signing her was the kind of move you'd expect to see in any professional league. It provides a competitive advantage. It was certainly in line with the thinking of Scrap Yard Dawgs general manager Connie May, who has long been part of the softball community in Texas (her daughter Meagan was an All-American at Texas A&M and is on the pro team roster for its debut season). 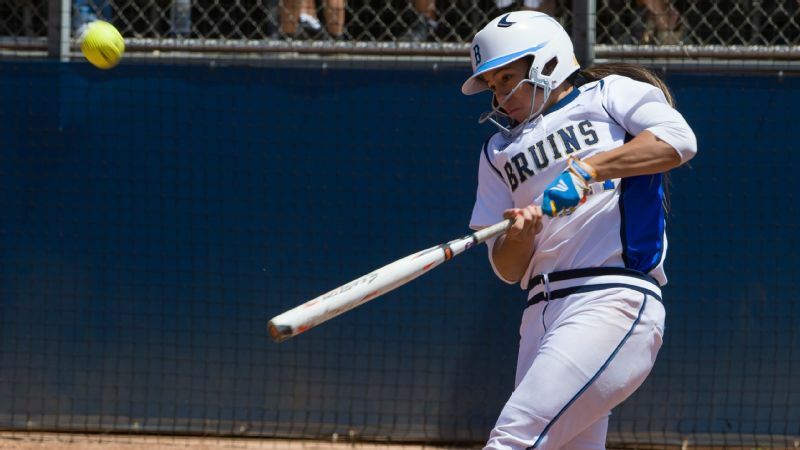 Even before signing Abbott, Connie May proved aggressive in pursuing talent like former NPF rookie of the year Madison Shipman and current Team USA pitchers Jaclyn Traina and Sara Nevins in an effort to be something more than expansion also-rans. "I wanted to win," May said. "Winning is how you do things in professional sports. No points for second place." But the contract is undoubtedly and intentionally a social statement, too. Scrap Yard Dawgs ownership, a conglomerate of Texas families who also own the NPF's Dallas Charge, wants to be a model for what is possible: a viable, healthy professional environment . "If it can be done, I think we don't have much more time to waste," May said. "We don't have another Monica, Cat Osterman or Jennie Finch coming up in the foreseeable future. So if we miss this opportunity, then it's on us." The person to build that around needed to be Abbott. Not just because she is the best pitcher in the world, but because of what it took to earn that label. She was the youngest player on the 2008 Olympic team that was stunned by Japan in the last gold-medal game before the sport was dropped. Her prime arrived just as the sport reached a crossroads. 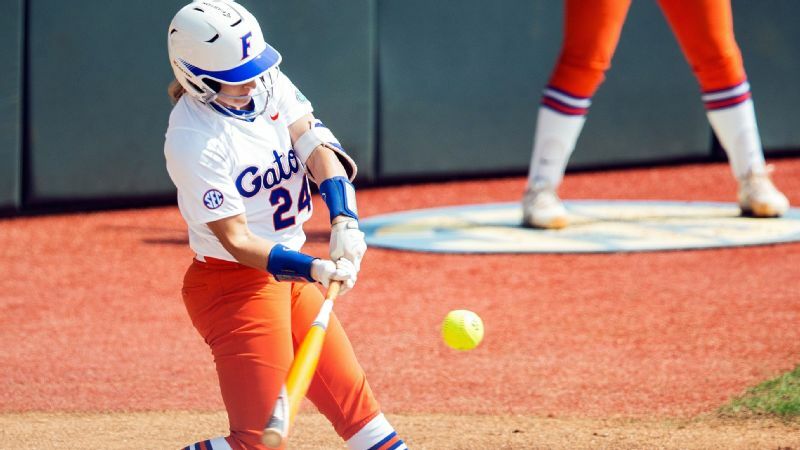 College softball has never been more popular than over the past decade, with the Women's College World Series drawing record crowds and strong television ratings. But without Olympic exposure and the star-making pedigree of a fully funded Team USA, the post-college game has struggled to gain a foothold. To be a full-time softball player, Abbott and a handful of others had to earn most of their income playing in Japan, with only a summer interlude to compete in the NPF while the Japanese league was on break. Far from seeing it as an exile, Abbott calls her ongoing experiences in Japan a "blessing in disguise." Being so far from home for much of the year gave her an opportunity to grow and challenge herself as a pitcher and a person. But she also looked at her teammates, most of whom are able to train essentially full time as employees of the companies who sponsor the teams, and lamented that the same opportunities weren't available in the United States. At home she saw teammates like Bandits shortstop Tammy Williams develop into elite players and ambassadors, only to bow to economic reality and choose, as Abbott put it, "a big-girl job" in the prime of an athletic career. 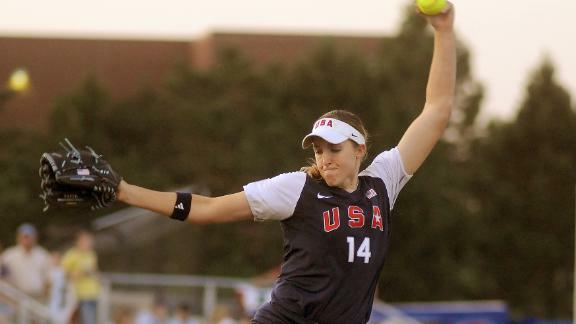 Monica Abbott pitched a perfect game at the 2008 Olympics on her way to winning a silver medal with Team USA. The million dollars in Abbott's contract is the number that will get the most attention, but at least as significant is the number 37. As in, Abbott's age when the contract runs out. Not everyone gets to be a professional athlete. Not everyone who does gets to do it for decades. But there is power in the belief that the possibility exists. "This contract recognizes Monica's talents, her accomplishments and her contributions on and off the field and it sends the right message that women's professional softball is stepping up and making salaries and athletic achievement a major priority in their league," said King, the tennis legend and founder of the Women's Sports Foundation. "This is a historic contract for professional softball and for all women's sports and I hope it is the first of many to come." The contract doesn't preclude Abbott from continuing to pitch professionally in Japan, where she is a star for Toyota's team. It is an opportunity she said she will continue to evaluate year-by-year. 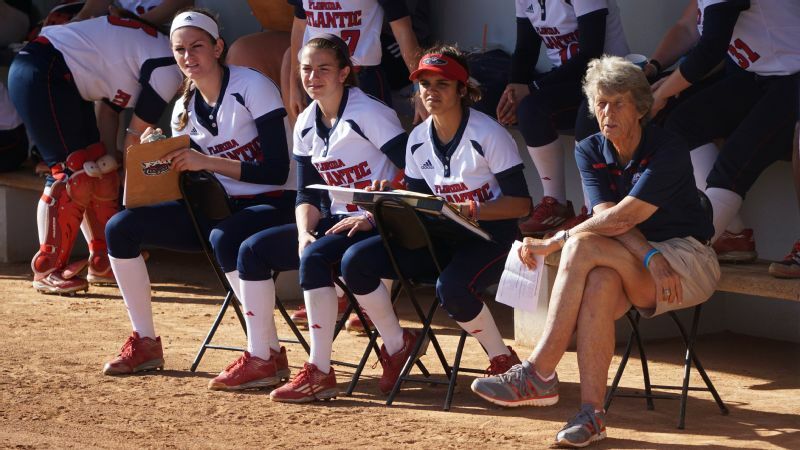 But perhaps more notably for softball, at least in this country, the contract is in many ways structured to facilitate Abbott's return to international competition with USA Softball. She will still have to make the team, of course, but should softball return to the Olympics in 2020, as is widely expected, she can try to reclaim gold in Tokyo and then make an NPF farewell tour in 2021. The move is not without risks. In 2009, Brazilian soccer star Marta signed a Women's Professional Soccer deal reportedly worth $1.5 million over three years. That contract quickly became the equivalent of the supposedly cursed Hope Diamond, as the team that signed her, the team that inherited the contract and the league itself folded in successive years. I see opportunities for other athletes, for the college girls coming in [to the league], for the college freshmen, for the 12-year-olds. Relentlessly confident and with a Texan's utter inability to either hem or haw, May insists that hers is a budgeted investment, not a gamble. Scrap Yard owns the stadium in which the team will play (although extensive flooding in the Houston area will delay the completion of construction on the newly built stadium, which will hold more than 2,000 fans). It owns the facility in which the stadium sits, including eight other baseball and softball fields nearby with at least half-dozen more on the way. She believes she can operate in the black, Abbott included. "The only way the pro level becomes what it needs to become is to give it some real merit and some real validity, get some real corporate backing behind it," May said. "That's not going to be payday for us. Payday for me, putting Monica on the field, is winning. I like to win. And if I can win, I'm happy. And it fits into Monica's mission, what we're doing out at the park, because it's empowering women. That's the statement Monica wants to make." People will listen. Even in this day and age, a million dollars will do that, especially in a sport where the accounting is done in thousands. While Abbott will be remembered as one of a kind in the pitching circle, the hope is that many will soon have a chance to follow her lead. "I feel very humbled and very excited to be the voice for softball," Abbott said. "I hope that, God willing, I'm going to have the right words to help expand this sport and expand opportunities for all female athletes, whether it's softball or volleyball or basketball or whatnot. "I'm going to hope that my voice does it justice."